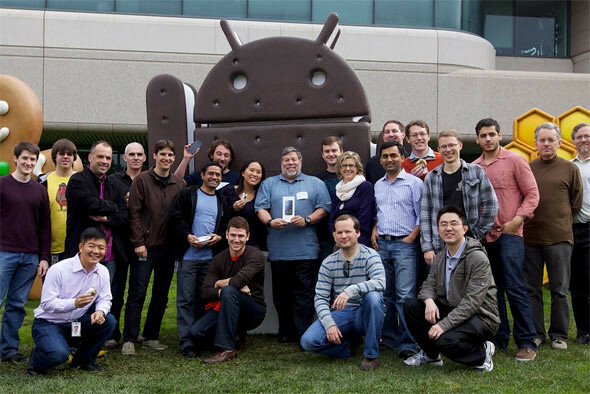 Steve Wozniak, co-founder of the fruit company along with Steve Jobs since the early days, was seen hanging around at Google HQ recently with his brand new phone, the Samsung Galaxy Nexus. Not sure why and what happened but he received a Galaxy Nexus and an Ice Cream Sandwich t-shirt from Google that day. 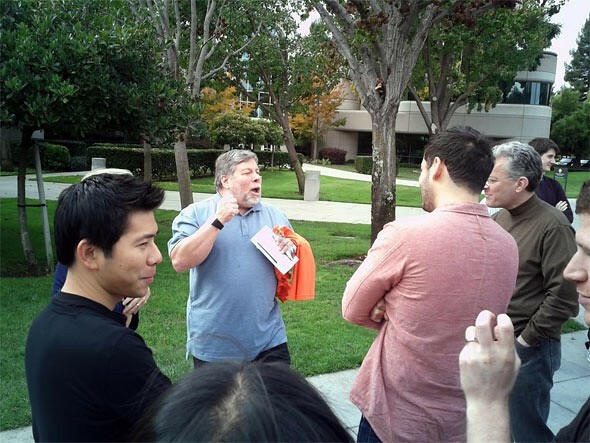 Woz is a great guy. In my opinion, although he started Apple with Steve Jobs, but being a technophile, he would appreciate any great technology without looking at the brand. *cough* just like me *cough* haha. So iPhone users, would you consider getting an Android phone in the future? 2 Responses to "Apple Co-Founder Gets His Galaxy Nexus From Google HQ Like A Boss"
I would try any brands… but nokia’s meego… cough cough. Without instructions and an iphone user it would take me 5 mins to figure how to to unlock n9 and how to get back to the home screen menu…. this also means u nvr watch the video demos that ppl post or even check out blogposts about the n9. dissapointed.